If you were able to attend the Intro to Coding Webinar, we would appreciate your feedback. Your input will help guide future webinars. 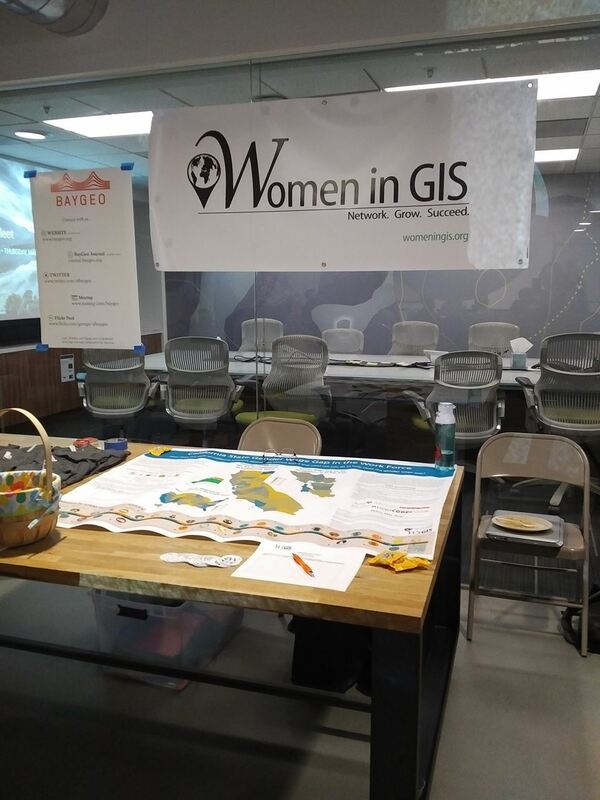 Additional resources from the Women's Geo-spatial Forum can be found here. Everyday, WiGIS finds new groups in the geospatial community promoting women's contributions to our industry. It is truly inspiring. One such group developed from within one of the industry's leaders - Esri. Esri's Women's Empowerment & Career Advancement Network (WeCan) is an initiative led by Esri employees, whose mission is to empower women at the company to achieve their goals and build strong careers. 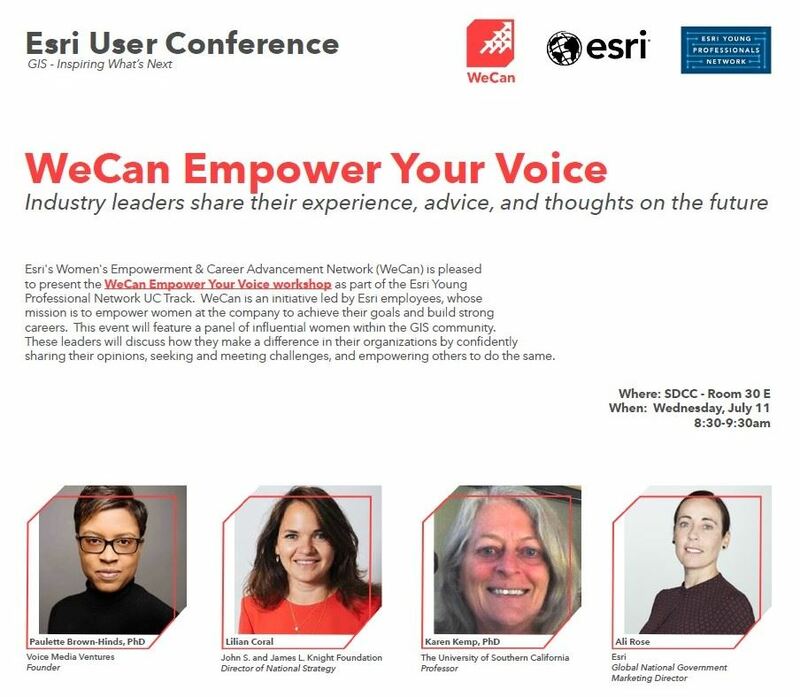 They'll be holding a special event this year's Esri's User Conference titled WeCan Empower Your Voice. This event will feature a panel of influential women within the GIS community. These leaders will discuss how they make a difference in their organizations by confidently sharing their opinions, seeking and meeting challenges, and empowering others to do the same. 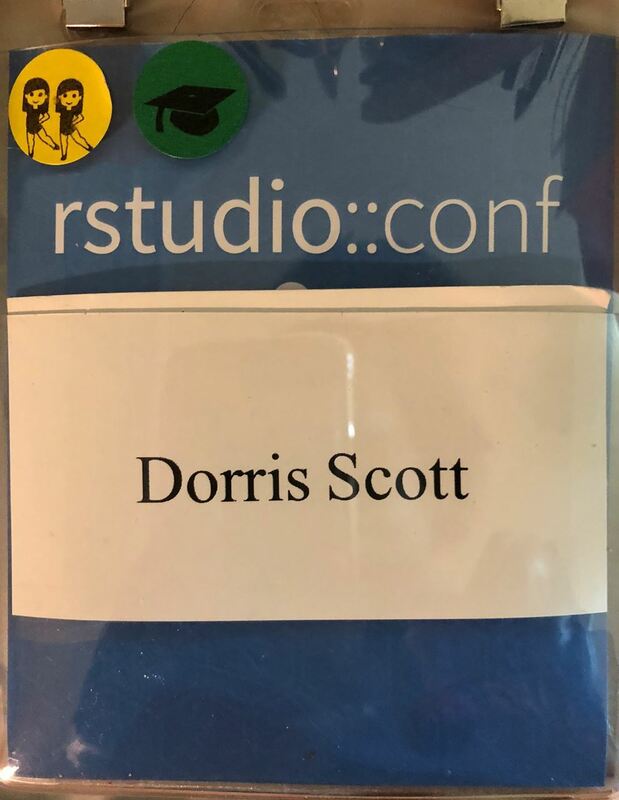 Thanks to an R Studio Diversity scholarship, I was able to attend rstudio::conf 2018 and the pre-conference Training Days which was held in San Diego. The pre-conference Training Days were on January 31 and February 1st, while the conference took place from February 2nd to February 3rd. I also attended the conference to participate in a poster session. I was a first-time attendee and I found this conference to be one of the best conferences I attended! While there is a lot I can say about this conference, I will condense it to five takeaways. I found the training days to be extremely valuable. There were several courses offered which ranged from introductory courses for those new to R to intermediate and advanced courses for more experienced users. For my research, I am using the Shiny web framework to create mapping apps and have relied on tutorials created by people such as Dean Attali, an R-Shiny consultant and expert, along with comments left on the Shiny Google Group(which has migrated to the RStudio community board) by Joe Cheng, who created the Shiny web framework and is currently the Chief Technology Officer for RStudio Inc. I signed up for the Intermediate Shiny workshop which was actually taught by Dean and Joe! I found the class to be both informative and challenging. While I do have experience with Shiny, I found that I have much to learn. During the more challenging portions of the class, both the instructors and classmates who sat near me were very receptive in helping me get through those portions. Given there were a mixed level of learners, I felt that the Intermediate Shiny workshop was well ran. On the first day of the conference, Hadley Wickham, Chief Scientist at RStudio, set the tone and talked about RStudio’s commitment to increasing diversity and inclusion along with the specific actions RStudio Inc. has taken to achieve this such as providing diversity scholarships. In addition, this commitment to diversity and inclusion is also shown in the make-up of the sessions for there was a significant number of women speakers. Overall, I felt that this conference was very successful in cultivating an inclusive environment. I felt that the talks were great in terms of the content they presented and relevance to my work. One talk that was particularly relevant to me was Edzer Pebesma’s talk on tidy spatial data analysis with the sf, dplyr, and ggplot2 packages. Also, these talks gave a glimpse in showing the personal interests of the speakers which allowed me to stay engaged during the talk. One example of this is Mara Averick’s talk on communicating data science. Her presentation was themed around the animated series Archer, which is one of my favorite shows and she had me at her first slide! She is also a superfan and showed ways she used R to explore various aspects of the show. Such talks show how one can become a better “useR” through using R to explore their personal interests and using such interests to communicate information in a fun and engaging way which attracts a wide audience. With large conferences such as this one, it can be difficult to interact with the speakers or people with shared interests. The Birds of a Feather (BoF) groups gave a chance for people with shared interests to meet up. Once people started networking either through the conference app or the RStudio community board, the number of BoF groups increased throughout the duration of the conference. Conference attendees were able to indicate the BoF group they were a member of through putting stickers for a BoF group on their conference name tag. One BoF group that I attended was the spatial BoF group. I was able to have the opportunity to not only network with fellow “mappeRs,” but also interact with the creators of spatial R packages. One opportunity I had during this conference as to meet up with members of the RLadies organization which mission is to promote gender diversity in the R community. I feel that such groups play an important role in not only getting more gender minorities in using R but also providing a pillar of encouragement and support in participating in the R community in terms of creating R packages and applying to be speakers at R conferences. I was able to connect with members of RLadies not only at the BoF meetups but between sessions as well. There are RLadies chapters all over the world and there might be one near you! I gained a lot from attending rstudio::conf 2018. I not only gained knowledge in various aspects in R, I gained a network of “useRs” which I did not have before attending the conference, many whom are women. The sense of community present at the conference did not end once the conference ended; I have kept in touch with many of the contacts I have made and have been presented with more opportunities to attend R meetings or educational opportunities. If you are an R user or are interested in learning R, I highly recommend attending this conference, if you can. -Dorris Scott is a PhD Candidate at the University of Georgia whose research emphasis are GIS, data science, and public health. Did you know we had a job notification email list? From time to time, employers approach us with job announcements. These are employers specifically looking for women who work in GIS or the geospatial field. While we can't guarantee you'll find a job in your region, you never know, you just might land your next dream job. Don't worry, we won't send out spam and you can unsubscribe anytime you want. Sign up here to receive job notifications for employers specifically recruiting women in GIS. On average, U.S. women are paid 80 cents to every dollar earned by their male counterparts. A recent Equal Pay case, Rizo v. Fresno County Office of Education, has concluded with the decision that women cannot be paid less than men, regardless of previous salary. This ruling is influential in closing the gender pay gap and advocates for pay equality. In addition to enforcing salary rights for women, listed below are 6 benefits of Equal Pay protection. It is proven that diverse cultures and backgrounds inspire creativity and productivity. Women are more likely to pursue careers in industries that are historically male dominate, such as GIS or IT, if they are valued as equal counterparts. Empowering women in technology requires Equal Pay, but also relies on the fundamental organizational belief that diversity fosters innovation. Salary should be determined by the level of expertise that a candidate brings to the table. 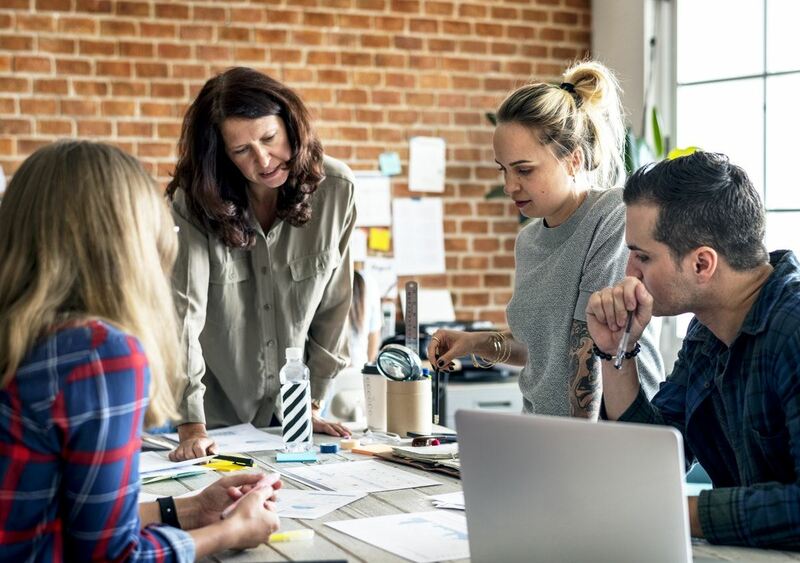 Compensating work based on performance, inspires employees to perform at their best while creating an atmosphere for continued credential building and learning. Prevention of salary discrimination creates a balance for all genders, while also paving the way for equality in other forms of disparity. Equal Pay is a right to all, regardless of gender, race, age, affiliation, sexuality, or economic status. Professionals may be hesitant to take LOA as career gaps may be seen as a weakness. Without Equal Pay protection, a worker may reenter the workforce after a career lapse, and be paid as a "green" or "new hire." With Equal Pay, professionals will receive pay that is reflective of their skill sets - regardless of previous wage or length of time since previous wage. A great leader will seek to bring out the best in others. By compensating high performing individuals equally, organizations will attract leaders that are best suited in competency and innovation. Additionally, Equal Pay removes glass ceilings, which may result in a higher frequency of vertical career growth. Teaching our future professionals that workers are valued by their individual abilities with equal opportunities for career success, encourages involvement in skill-based STEAM academics. A young woman, interested in science and technology fields, should feel confident that the investment of her time and hard work will result in future opportunities for career growth and compensation. This past Thursday evening, BayGeo (formerly BAAMA) held a meeting for its members. Speakers included representatives from MapD (very speedy) and MapBox (very innovative). Though we got there late, it was well worth the frustrating drive across San Francisco during rush hour traffic because we got to talk to several women who had never heard of our organization and we got to reconnect with a very special lady - our first interviewee: Becky Morton! It was also great to connect with a few men. We had our California Wage Gap map available to peruse (more to come on that later). After reviewing it, from the look of shock and indignation on several men's faces, I think it was a real eye-opener for them. Many thanks to Annijke Wade for encouraging and hosting us at BayGeo's 2018 GeoMixer. We had a lot of fun and look forward to participating in more BayGeo events! Our sister organization, Wisconsin Women in GIS, recently interviewed Nancy Von Meyer, an leader in the industry and an inspiration for us all. She also has a lot to teach us about what really matters in GIS: accuracy. "Data is the tedious underbelly of the GIS glamour." Live in the general Portland, Oregon area? Thinking of moving there? Job Description: If you are someone who has discovered that "wowing" people with the power of GIS requires technical mastery and you're excited to transition beyond production-oriented GIS and put your skills to the test building tools, data, and applications that empower and excite users, we are looking for you! In this role you will develop and deliver GIS products & solutions ensuring that customer needs are met. You pride yourself on your forward thinking and collaborative approach, and are excited to be leading all aspects of the product development life-cycle (specifications, development, testing, rollout, documentation, etc). Have you ever looked at someone's name in their email signature and noticed they had 'GISP' after it? Ever wondered what that stood for? Even if you do know what it stands for, you may not have taken the leap to become one. If so, join us on April 20th from 10am to 11am (MST) for a webinar hosted by the GIS Certification Institute (GISCI). Come learn what that special 'P' stands for and why you should get it. Hear it directly from GISCI's coordinator and get a chance to find out exactly what it takes to be a GISP. Fifteen to twenty minutes will be set aside for your questions. Please note, webinar available for paid members only.